Bing Webinar – The Psychology and Future of Search - Digitl. First launched in June 2009, Bing is a search engine operated and owned by tech giant, Microsoft. Although it is commonly perceived as only holding a small percentage of the market share, in recent years Bing has gained traction and now 1 in 4 searches are made through the platform. As such, if Bing continue to expand at this rate, it’s likely that within a few years they will be competing with Google for their share of the market. Bing have noticed that their audience is evolving – nearly 2/3rds of their users are under the age of 45, 21% are in the country’s top earning bracket, 40% are degree educated, 60% have at least one child in their household, 48% are female and 52% are male. In this webinar we teamed up with Vikas Arora, Senior Account Director at Bing who has over 15 years of enterprise sales experience in the Digital Media and Communications Industry. To check out our other webinars, click here. The Internet of Things is expected to hold 20 billion units by 2020. New headsets have been created which have the potential to significantly alter the way users interact with search engines. By 2020 the customer will manage 85% of their relationship with an enterprise without interacting with a human. ½ of all developer teams will be embedding AI into their apps by 2018. 50% of search will come from voice or image in 2018. 74% of online consumers get frustrated when irrelevant content appears in search engines. 74% of people trust search engines almost as much as they trust the website or brand. 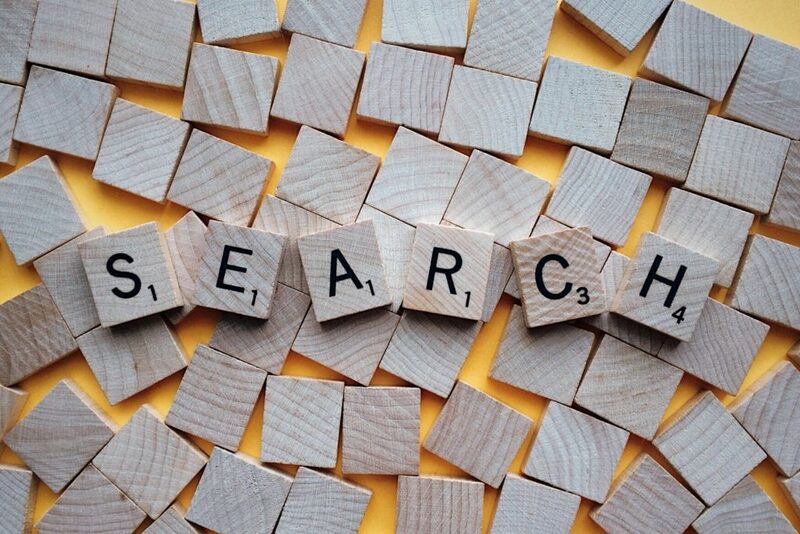 In order to understand where search is heading it’s important to fully understand the basics in terms of why, what and who. By constantly keeping track of how users are using their services, search engines are empowered to keep their algorithms up to date with consumer demand. This creates a better customer experience as the information being delivered to people is more relevant and better quality. Why are people using search engines? What are people using search engines for? What was the event that caused them to search? What was the compelling Call To Action? Who is using the search engine? Understanding the who gives us a better idea of what people are searching for and why they are searching for it. Bing are firm believers that technology is adaptable. So for them, everyday Artificial Intelligence (AI) is about amplifying human ingenuity with intelligent technology. In this sense AI empowers us to do more – it looks at how we engage with people and provides smart solutions that adapt to our ways of life. They want to create a set of products and services that allow them to work with their customers, agencies and partners to amplify ingenuity so they can capitalise on machine learning and make it more accessible. They plan to do this using three techniques. In-market audiences – Bings predictive intelligence identifies users who have shown purchase intent signals within a particular category, including searches and clicks on Bing and page views on Microsoft. They can do this using pages that Bing currently own such as Outlook, MSN, Edge, LinkedIn. Custom audiences – enables you to bring your own rich first party customer data into bing ads via your data management platform because ultimately you as an advertiser have a better understanding of your audience than we do. Remarketing in paid search – another opportunity to convert or engage with customers. Secondly, Bing AI has expanded our ability to engage with customers. Microsoft have a host of bot services which enable you to build chatbots that can scale new services and help you provide better support to your customers. These bots provide developers with the tools to create intelligent bots that interact with users in a natural way. Additionally, leveraging cognitive services enables your bot to see, hear, interpret and interact in more human ways. These bots aren’t limited to Microsoft channels, you can use them to market across multiple channels from Facebook Messenger, Kik, Slack etc. We call these bots conversational commerce as you’re creating better customer relationships. Thirdly, Bing have analysed the way we engage with customers through automatic marketing. They now allow us to target relevant search queries based on the content of your current website. This increases performance and consumer satisfaction. Likewise, Bing have created auto-bidding with optimisation built into it. This allows Bing Ads to fully manage your bids in real time based on a wide set of useful platform signals. What this means is that during busy times your bid will increase but during quiet times you aren’t constantly bidding. This is intended to save you both time and money and improve your return on investment. To find out more about Bing and the evolution of search, click here.